We are starting to wrap up the loose ends of LIDP 2. You will have seen some bonus blogs from us today, and we have more about reading lists and focus groups to come – plus more surprises! Stone, Graham and Collins, Ellen (2012) Library Impact Data Project Toolkit: Phase 2. Manual. University of Huddersfield, Huddersfield. Predicting final grade: using demographic and library usage data to try and build a model for predicting a student’s final grade. This toolkit explains how we reached our conclusions in work packages 1, 2 and 6 (the conclusions themselves are outlined on the project blog. Our aim is to help other universities replicate our findings. Data were not available for work package 4, but should this data become available it can be tested in the same way as in the first phase of the project, or in the same way as the correlations outlined below. Work package 6 was also a challenge in terms of data, and we made some progress but not enough to present full results. Also to Dave Pattern and Bryony Ramsden at Huddersfield. Is there is a statistically significant correlation across a number of universities between library activity data and student attainment? There answer is a YES! There is statistically significant relationship between both book loans and e-resources use and student attainment. And this is true across all of the universities in the study that provided data in these areas. In some cases this was more significant than in others, but our statistical testing shows that you can believe what you see when you look at our graphs and charts! Where we didn’t find a statistical significance was in entries to the library, although it looks like there is a difference between students with a 1st and 3rd, there is not an overall significance. This is not surprising as many of us have group study facilities, lecture theatres, cafes and student services in the library. Therefore a student is as just likely to be entering the library for the above reasons than for studying purposes. We want to stress here again that we realise THIS IS NOT A CAUSAL RELATIONSHIP! Other factors make a difference to student achievement, and there are always exceptions to the rule, but we have been able to link use of library resources to academic achievement. So what is our output? Although this project has had a finite goal in proving or disproving the hypothesis, we would now like to go back to the original project which provided the inspiration. This was to seek to engage low/non users of library resources and to raise student achievement by increasing the use of library resources. There are a number of ways of doing this, some based on business intelligence and others based on targeting staffing resources. However, we firmly believe that although there is a business intelligence string to what we would like to take forward, the real benefits will be achieved by actively engaging with the students to improve their experience. We think this could be covered in a number of ways. Gender and socio-economic background? This came out in questions from library directors at SCONUL and LIBER. We need to re-visit the data to see whether there are any effects of gender, nationality (UK, other European and international could certainly be investigated) and socio-economic background in use and attainment. We need to look into what types of data are needed by library directors, e.g. for the scenario ‘if budget cuts result in less resources, does attainment fall’? The Balanced Scorecard approach could be used for this? Does a student who comes in with high grades leave with high grades? If so why? What do they use that makes them so successful? What if a student comes in with lower grades but achieves a higher grade on graduation after using library resources? What did they do to show this improvement? Quite often students who look to be heading for a 2nd drop to a 3rd in the final part of their course, why is this so? What about high achievers that don’t use our resources? What are they doing in order to be successful and should we be adopting what they do in our resources/literacy skills sessions? Use data already available to see if there is correlation across all years of the courses. We have some interesting data on course year, some courses have no correlation in year one with final grade, but others do. By delving deeper into this we could target our staffing resources more effectively to help students at the point of demand. Does use of resources + wider reading lead to better attainment – indeed, is this what high achievers actually do? Net Generation students tend to overestimate their own skills and then demonstrate poor critical analysis once they get onto resources. Ultimately our goal will be to help increase student engagement with the library and its resources, which as we can now prove, leads to better attainment. This work would also have an impact on library resources, by helping to target our precious staff resources in the right place at the right time and to make sure that we are spending limited funds on the resources most needed to help improve student attainment. For those libraries that want to do their own statistical analysis, this was a was a complex issue for the project, particularly given the nature of the data we could obtain vs. the nature of the data required to specifically find correlations. As a result, we used the Kruskal Wallis (KW) test, designed to measure whether there are differences between groups of non-normally distributed data. To confirm non-normal distribution, a Kolmogorov-Smirnov test was run. KW unfortunately does not tell us where differences are, the Mann Whitney test was used on specific couplings of degree results, selected based on visual data represented in boxplot graphs. The number of Mann Whitney tests have to be limited as the more tests conducted, the higher the significance value required, so we limited them to three (at a required significance value of 0.0167 (5% divided by 3)). Once Mann Whitney tests had been conducted, effect size of the difference was calculated. All tests other than effect size were run in PASW 18; effect size was calculated manually. It should be noted that we are aware the size of the samples we are dealing with could have indicated relationships where they do not exist, but we feel our visual data demonstrates relationships that are confirmed by the analytics, and thus that we have a stable conclusion in our discarding of the null hypothesis that there is no relationship between library use and degree result. Forward planning for the retention of data. Make sure all your internal systems and people are communicating with each other. Do not delete data without first checking that other parts of the University require the data. Often this appears to be based on arbitrary decisions and not on institutional policy. You can only work with what you’re able to get! Beware e-resources data. We always made it clear that the data we were collecting for e-resource use was questionable, during the project we have found that much of this data is not collected in the same way across an institution, let alone 8! Athens, Shibboleth and EZProxy data may all be handled differently – some may not be collected at all. If others find that there is no significance between e-resources data and attainment, they should dig deeper into their data before accepting the outcome. Although this post is labelled the final blog post, we will be back! We are adding open data in the next few weeks and during August we will be blogging about the themes that have been brought out in the focus groups. The intention is then to use this blog to talk about specific issues we come across with data etc. as we carry our findings forward. At our recent final project meeting, it was agreed that all 8 partners would continue to do this via the blog. Finally a huge thank you to Andy McGregor for his support as Programme Manager and to the JISC for funding us. One of the big issues for the project so far has been to ensure we are abiding to legal regulations and restrictions. The data we intend to utilise for our hypothesis is sensitive on a number of levels, and we have made efforts to ensure there is full anonymisation of both students and universities (should our collaborators choose to remain so). 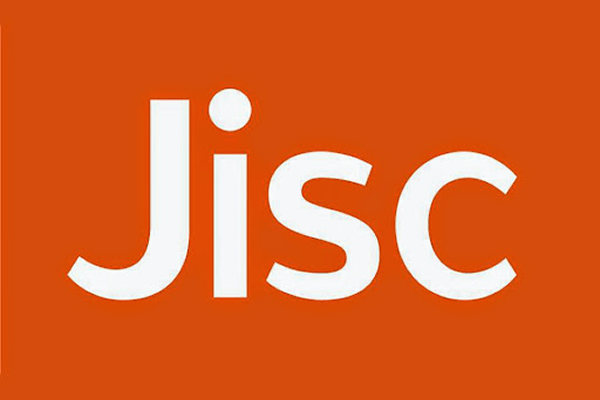 We contacted JISC Legal prior to data collection to confirm our procedures are appropriate, and additionally liaised with our Records Manager and the University’s legal advisor. Our data involves tying up student degree results with their borrowing history (i.e. the number of books borrowed), the number of times they entered the library building, and the number of times they logged into electronic resources. In retrieving data we have ensured that any identifying information is excluded before it is handled for analysis. We have also excluded any small courses to prevent identification of individuals e.g. where a course has less than 35 students and/or fewer than 5 of a specific degree level. Focus groups have also been conducted with a briefing and a consent form to ensure participants are fully aware of data use from the group and of their anonymisation and advising them that they can leave the group at any point.